Everything in this home is NEW! Over $100,000 spent totally reimagined and redesigned residence. New A/C, New Hot Water, New French Pattern Stone Travertine flooring throughout including the patio, New quartzite (the real stuff) Taj Mahal kitchen countertop on open one level deck, New High-Line 42" kitchen cabinets, LG appliances, barn sink and all new bathrooms including showers with frameless doors, commodes and free standing exquisite cabinetry. 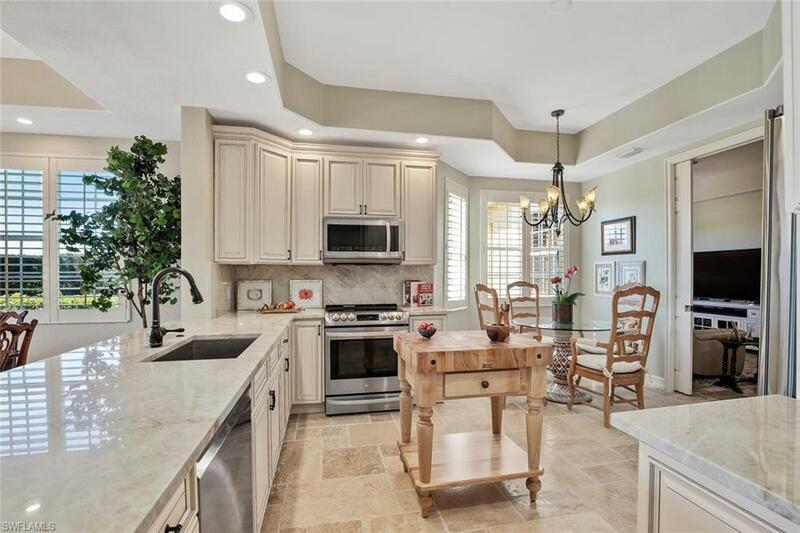 New extensive electrical lighting, New pedestal laundry with wall to wall cabinetry and Newly designed open den and foyer. 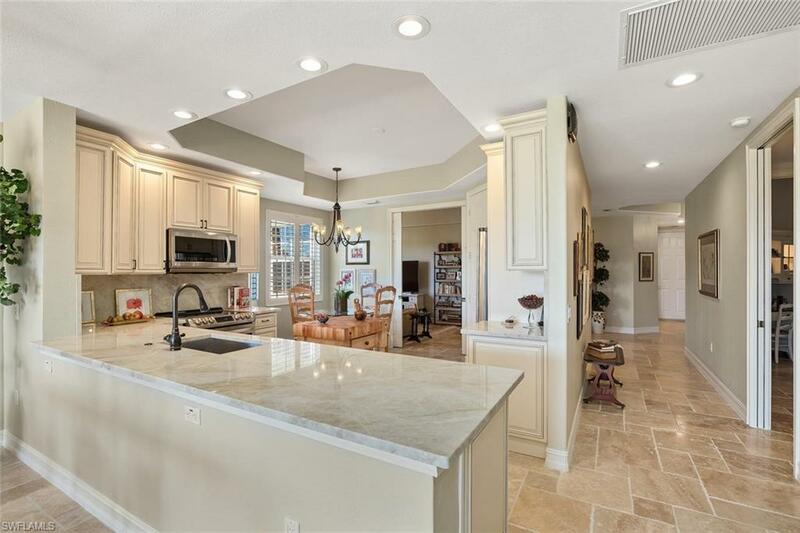 South exposure to sprawling golf course with lake views on wide fairway of Preserve Course #7! 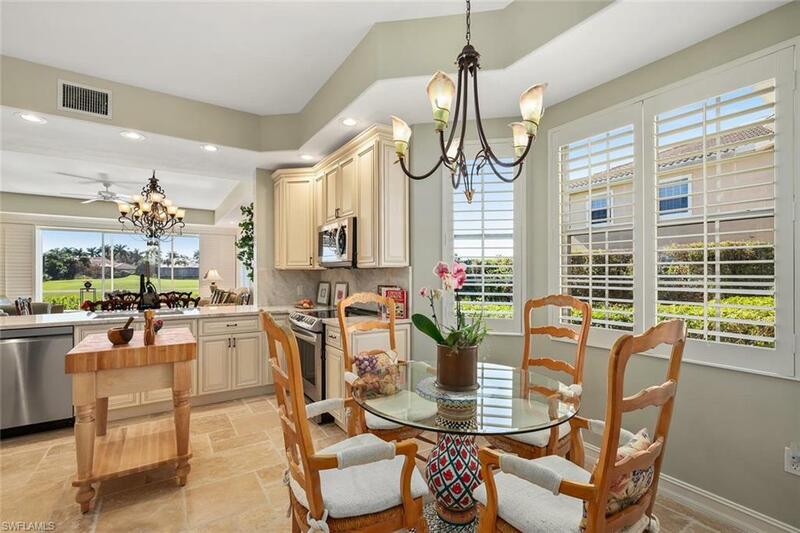 Manned Gate, New Club Owners, beautiful additions & renovations, Optional 27 holes of golf, Pickleball, renowned Tennis facilities with 10 New clay courts, state of the art fitness center, Jr. Olympic pool, new Club kitchen and Chef. Calendar of events for the lifestyle you desire. 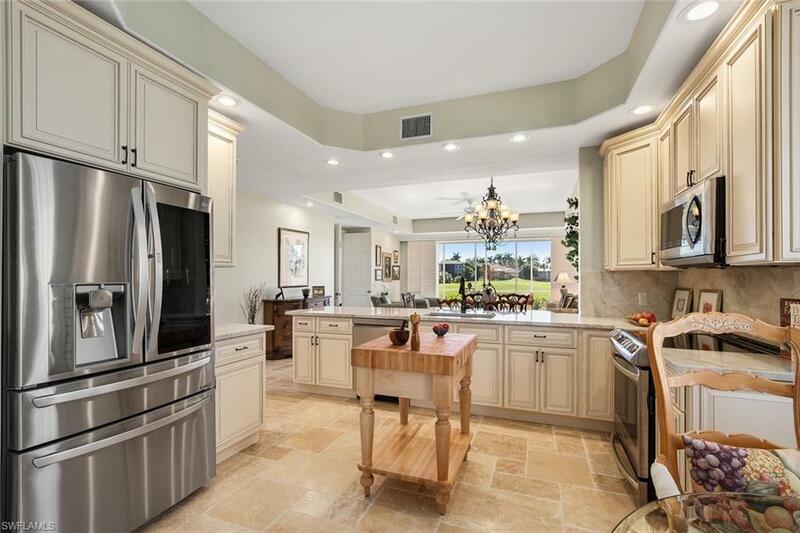 A community of beautiful landscaping in North Naples with walking and biking trails close to Publix, future Oaks farm, banks, gas and restaurants. Near I-75, airport and beaches.